Croom Precision has over 34 years’experience in partnering with global healthcare and aerosapce companies as an outsourced manufacturing service of orthopaedic medical implants and aerospace components. Croom Precision strives for long lasting strategic partnerships, working with over 72% of its customer base for over 20 years in offering innovative and cost effective solutions at superior quality. Croom Precision operates a vertically Integrated Management System which is accredited to AS9100, ISO 9001, ISO 13485, ISO 14001 and has achieved SC21 Bronze Status. The company hosts a number of manufacturing technologies including Metallic Additive Manufacturing, 5 Axis Milling, Swiss Auto Turning, Multi Axis Grinding, Media Finishing, EDM, Collaborative Robotics, Additive Manufacturing and Automated Metrology. Croom Precision incorporates an organic ethos of research and innovation through its vertically managed team which is driven to add value to the strategic partnerships of its customers. Croom Precision strives to make busineess better together with its partners by delivering forward thinking solutions at a competitive cost whilst holding quality paramount in all its operations. In positioning itself to lead in new manufacturing technologies, the team at Croom Precision offers superior knowledge in industry 4.0 advancements and continuously invests in its academic partnerships with UCD,UL and QUB. The company offers agile and flexible manufacturing environments, which are steered to attend to every customers individual request. 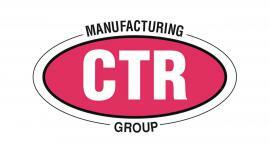 The CTR Manufacturing Group consists of three Operating Divisions with a growing portfolio of products and services. Precision Engineering - Component part batch machining, prototype workTool & Die Manufacturing Fastener tooling including for airframe rivets, plus complete machine tool die sets, press tooling, injection mould tools, tube forming, tooling for spring manufacture, swaged tube ends, extrusion, hot/cold forming plus many more applications. Hard Metal Machining Wire, Spark Electro Discharge Machining (WEDM) 5 axis machining and Diamond Hard Turning. Our customer base is world-wide not only serving the aerospace sector but others including automotive, medical, rail, construction and general engineering. We are familiar in working with all types of materials such as Carbide, HSS, Tool Steels, Aluminium, Titanium, Inconel, Ceramic together with many sintered steel powder metallurgy grades. Quality levels are assured via Accreditation to ASEN9100 and BS EN ISO 9001. Darchem Engineering Limited is a world class Engineering Company providing products and services primarily to meet the needs of its customers for engineered solutions to high temperature/thermal engineering problems. 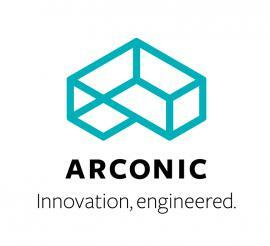 From its inception in 1954 the company has developed into a world leader in its chosen fields. 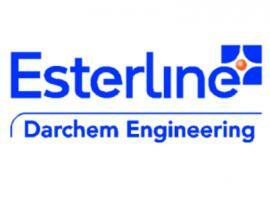 Darchem Engineering is a wholly-owned subsidiary of USA quoted company, Esterline Technologies Corporation. Darchem is a market leader in the design, manufacture (and if required installation) of a wide range of high integrity engineered products in stainless steel and titanium as well as thermal insulation systems for aerospace, motorsport, marine defence, nuclear and oil & gas applications. Force Development Services (FDS) Limited is a leading UK SME and specialist manufacturer of Deployable, Lightweight, Modular Armour solutions for Ballistic and Blast Protection, and for manufacturing of Specialist Laddering and Entry Systems to enable rapid extraction, intervention and protection of Military, Security and Civilian personnel and are used by Defence and Law Enforcement agencies worldwide. FDS also provides conversion services for land vehicles and platforms required for specialist operations. FDS Capabilities also include training services for civil aerospace operations and training & simulator hardware systems and equipment for the defence and civil sectors.